I could write about all the amazing things I did in New York. I could tell you about all the great things I saw too. But there is a lot of content on NYC out there and you may have already read it before. So instead I am going to tell you a little story that irked me, annoyed me and left me blasting the great American hospitality for the first time ever. 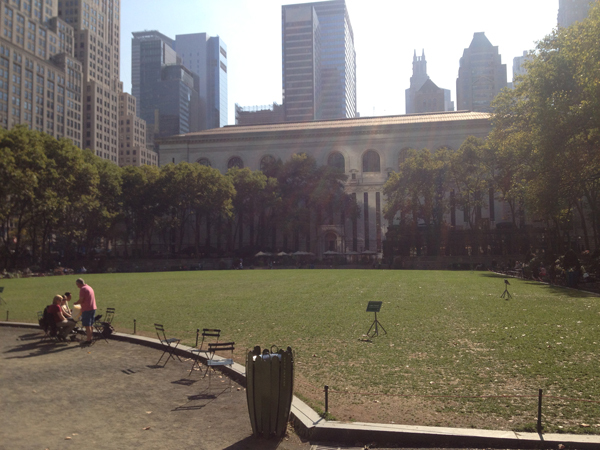 On my last day in New York I decided to visit the New York Public Library. Books have always been a passion of mine but I had heard that the library had a really excellent map room and what with loving travel even more than books I was quite excited to spend a couple of hours in the map room. Initially I wandered around the library like a typical tourist taking a few pictures and soaking in the grandness of the building. The library was established in 1895 and has a wonderful history. 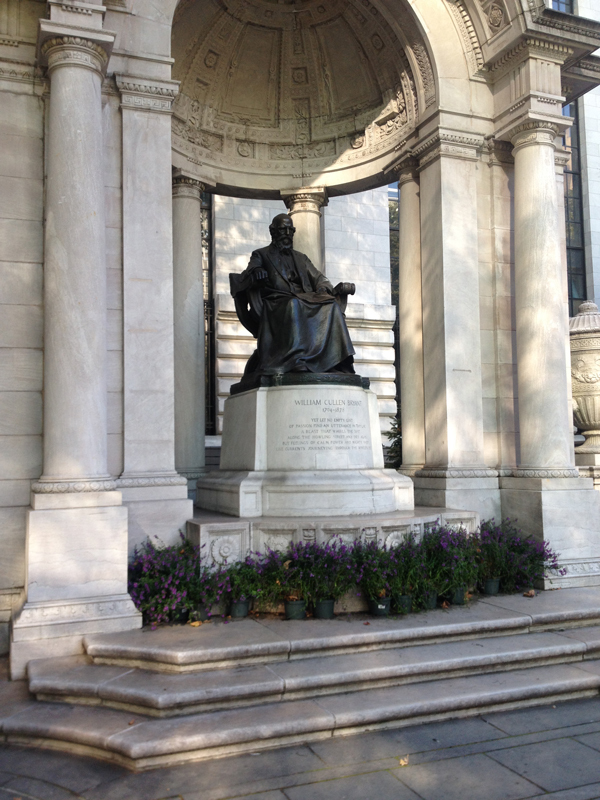 It sits on Fifth Avenue in front of Bryant Park and is very close to Times Square too. 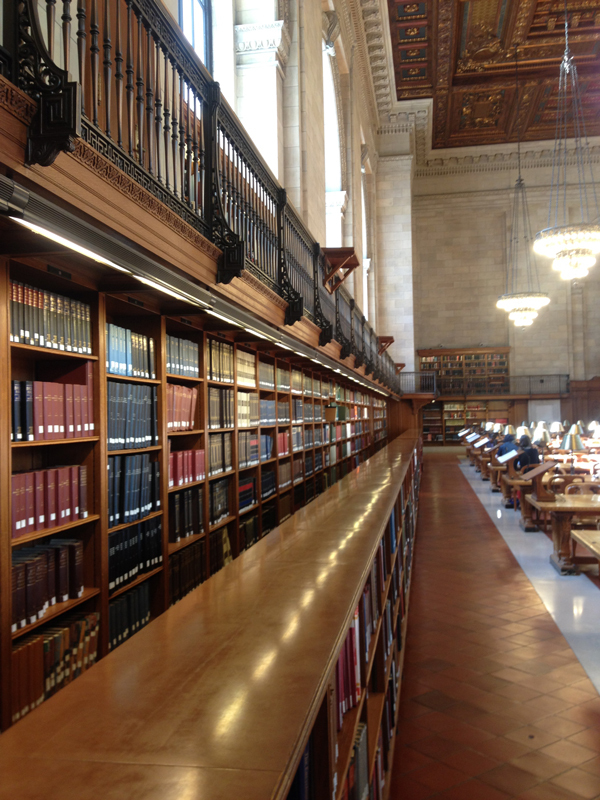 Today it is the second largest library in the USA and the third largest in the world. 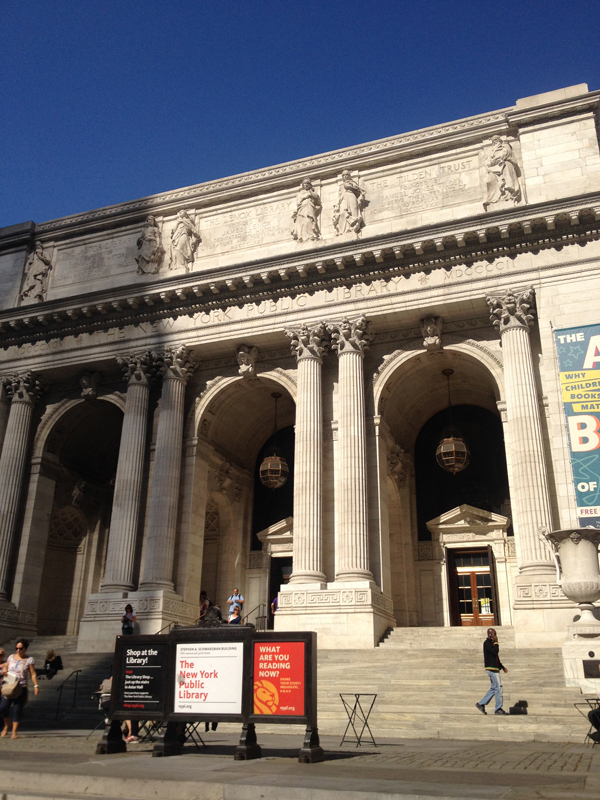 If you have been to New York and not visited the library before then I would say it is definitely worth at least an hour of your time, if only for the grand entrance and architecture. So onto my ‘unfriendly one’ experience. I eventually made it to the map room to be greeted by a member of staff who was completely engrossed in her text conversation on her mobile. Behind her desk on the shelf I noticed a large book with the word ‘GOTHAM’ printed in large capital letters down the side. Being a huge Batman fan I wondered if this book was of fictional Gotham City maps or perhaps old maps of New York itself. Naturally being in a library I asked the assistant if I could take a look at this particular book behind her. Without glancing up from her phone she muttered any books in the store behind her had to be searched for on the computer first then she would look for them. Understandably shocked I protested saying but I can see the book its right there on the shelf behind you. This time she glanced up at me and recognising my British accent said ‘you’re not from New York are you’. Before I’d even had a chance to reply she followed this up with ‘so that means you wont have a library card so you can’t look at any of these books anyway’. Once again I protested saying ‘look the book is just behind you on the shelf and it’s really grabbed my attention. I just want to sit here right next to your desk and read it for a little while’. Unfortunately I got nowhere! The assistant told me again that under no circumstances could I view that book unless I searched for it on the computer first, however I couldn’t search on the computer until I had applied for a library card. All that hassle to read a book that sat on a shelf within 6 feet of her desk. For a book I have since found out was for in library use only too! It might sound like I am moaning incessantly here but the experience really got my back up. A library is a place to learn a place to study and a place to discover and this one member of staff had none of this passion and wanted to make it difficult for me to do any of this. In actual fact she was desperate to get back to texting whoever on her phone she probably wasn’t supposed to be using whilst at work. No wonder the kids of today aren’t as interested in books as much as their phones if there are library assistants out there like this. 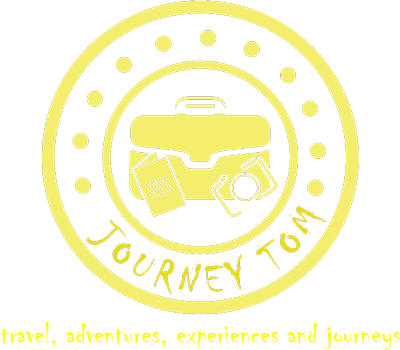 So there we have it my first ever grumpy old man moaning post and the story of the only person I have ever met in America with no customer service skills ‘The unfriendly one’. Not only would you have a close a personal relationship with the Gotham map, but “Robert De Niro” moment, priceless. And Tom, there are provisions for tourists to view materials, there must be in the NYC library. She was rude and lazy. Yes I did think this afterwards but being British and typically polite I just wandered off. I assumed there most be some provisions for tourists but the information was never going to be forthcoming from her. This is literally the only time I have had bad service in the USA – I think I am so used to people helping me out and being friendly I was taken aback and shocked by this woman’s attitude. Haha I do luckily I have managed to find the book in the UK anyway! Some of the old public buildings in NYC are really interesting. I would guess that Grand Central Station is the most visited but some of the others are definitely worth looking up if you have some time to kill and no money to spend!